Troubleshooting Inventory Counts on iPad – How can we help? 1. Make sure you are using Safari and not Chrome. While Vend's Inventory Count feature works on Chrome for Mac and PC, it does not work for Chrome on iPad. 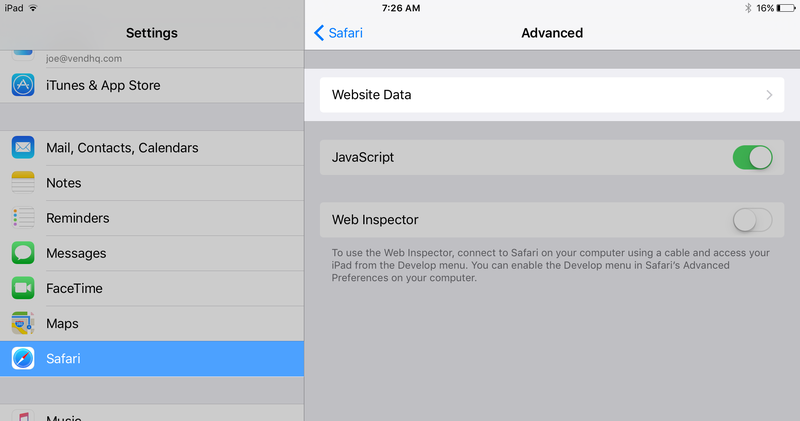 If you are using an iPad, you must make sure you are using the Safari browser to process Inventory Counts. 2. Make sure you are not in Private Browsing Mode. 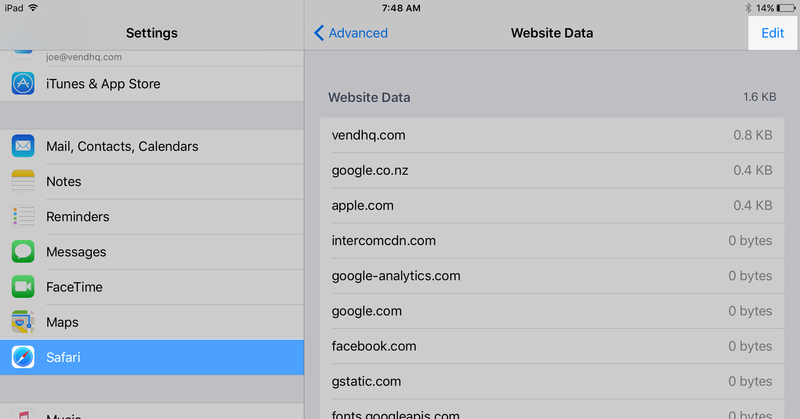 On iPad, Safari has an option to run in Private Browsing Mode. 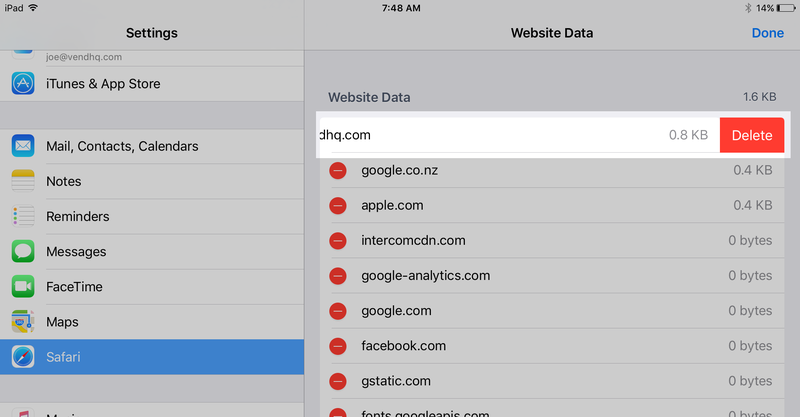 If you are in Private Browsing Mode the top bar in Safari will be dark grey. 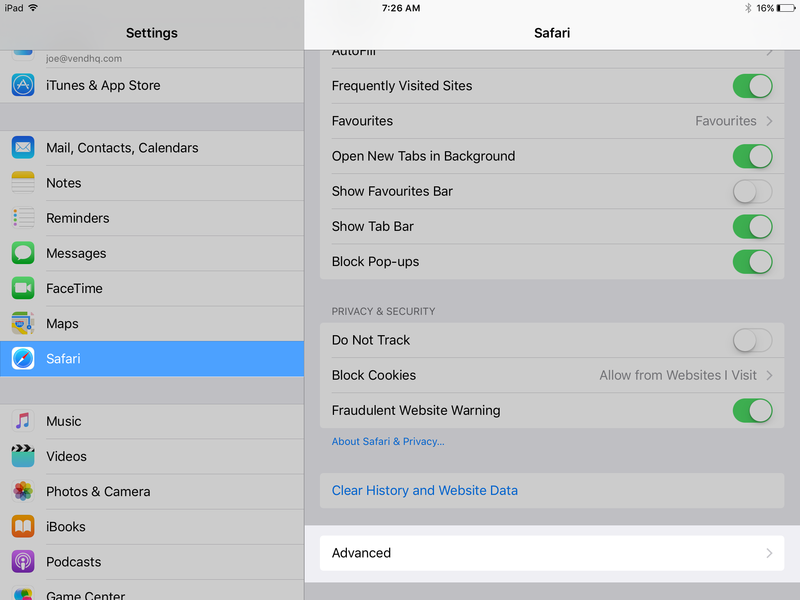 Follow the steps below to deactivate Private Browsing Mode on Safari. 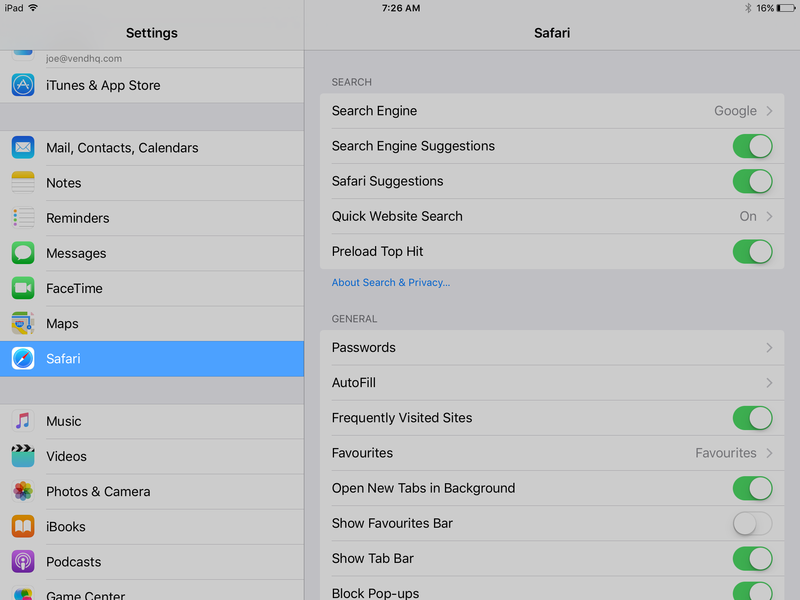 To deactivate Private Browsing Mode click the two squares in the top right-hand corner of Safari. Here you will see that Private is highlighted. Tap this to turn off Private Browsing Mode. Your Safari top bar should now be white instead of dark grey. 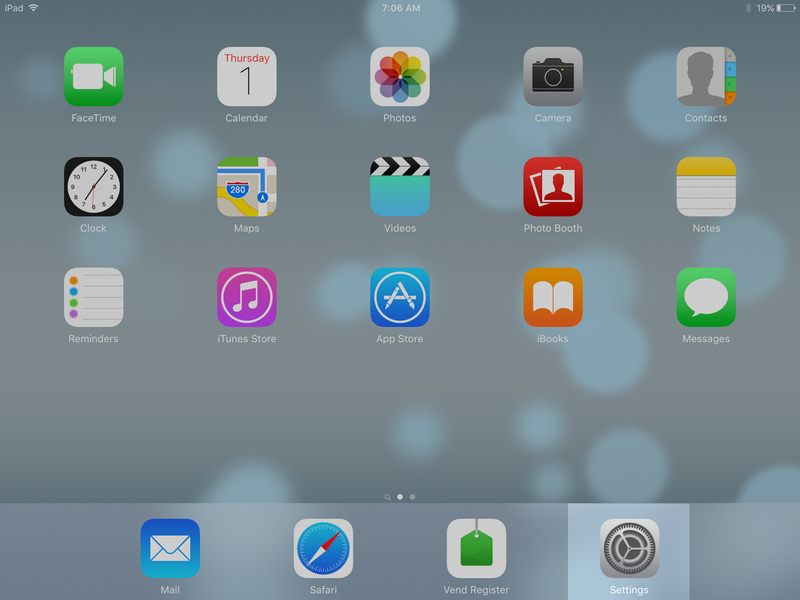 Head to the Settings on your iPad. Scroll down the side menu and tap Safari. Tap the Advanced tab and then tap Website Data. You should now see a list of websites. Tap Edit in the top right of the screen and find vendhq.com from the list below. Tap the red circle next to vendhq.com. Next, tap Delete. Your website data for Vend will now be cleared. 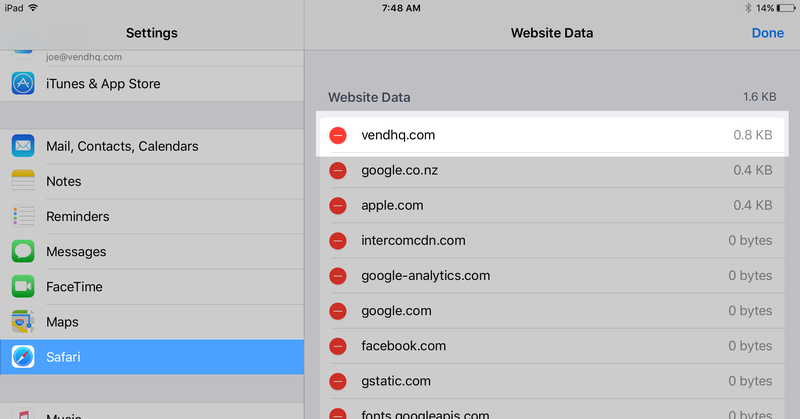 To check that the problem is fixed, log back into Vend on Safari again using the steps at the beginning of this article. If your Inventory Counts still do not appear to work on Safari for iPad, get in touch with our support team here.